Fall in Clear Lake is pretty much my favorite. 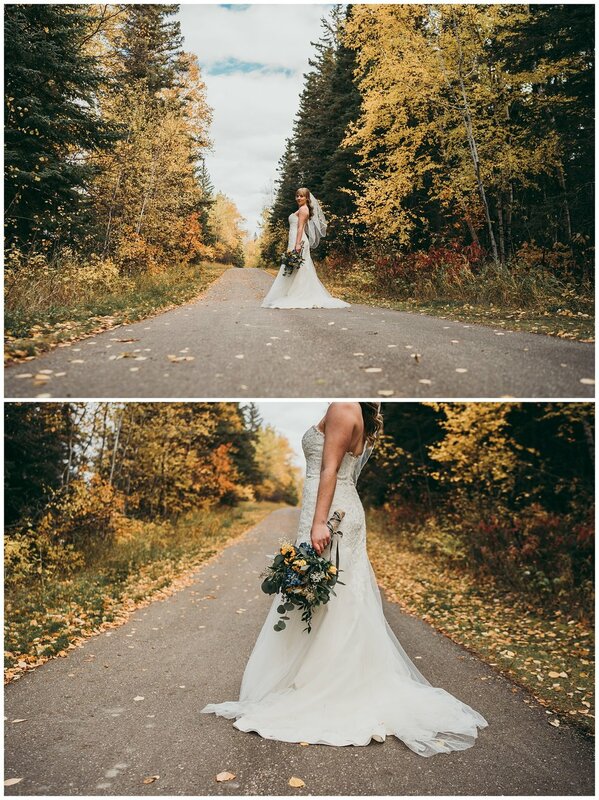 The town is so much quieter, but the scenery is absolutely beautiful, So a fall wedding in Clear Lake is hitting the jack pot for me! Alyssa and Andrew live in Yellowknife, Northwest Territories, but are originally from Manitoba. They and some family traveled from all over to meet in the small lake town for their celebrations. The Lake House is a small boutique type hotel that also has some of the best coffee and ice cream the town has to offer, and a cozy lounge space with a wood burning fireplace. Everyone sat around one big table, and shared an amazing meal, followed by home made pies. Caitlin and I showed up to Andrew's cabin first. Got to get to know him a little, and meet his Dad and step mom. 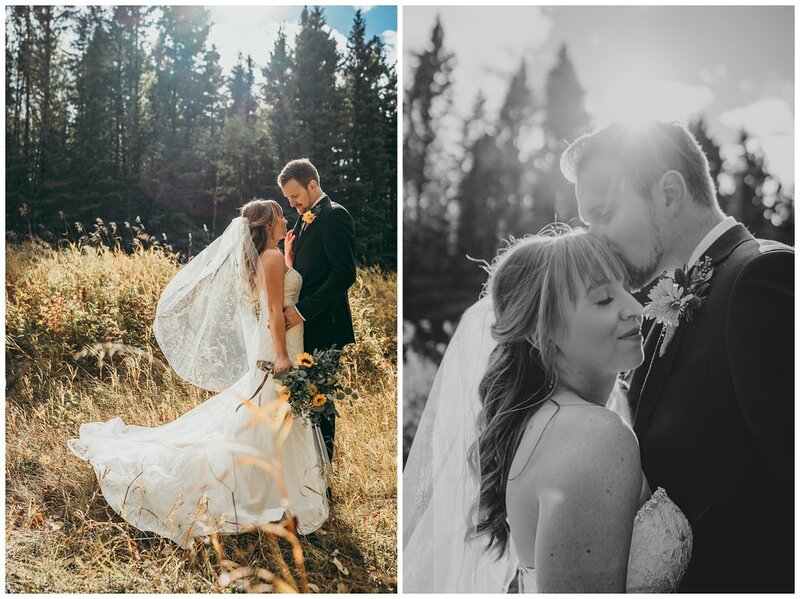 We snapped some pics and chatted with him while he got ready, then headed over to see how the Bride was making out. She was stunning. 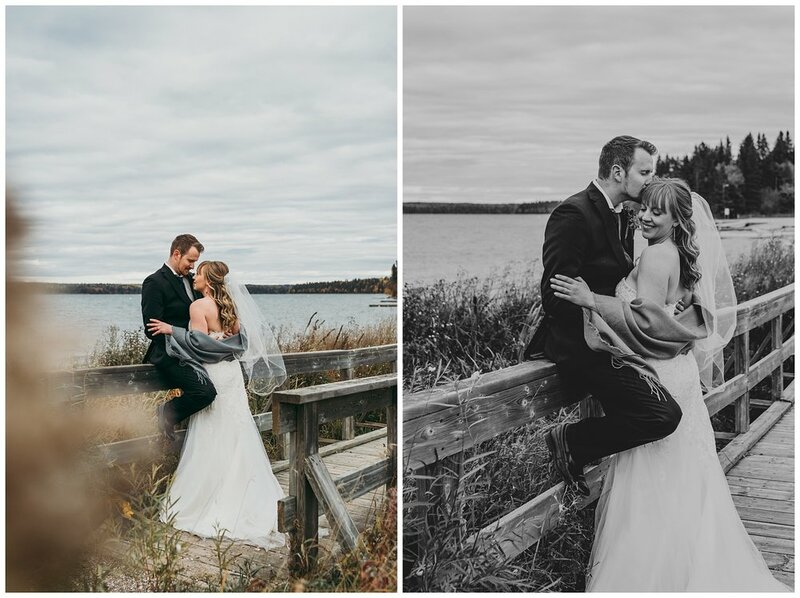 We did some detail and getting ready shots, and headed out for their first look as Bride and Groom. 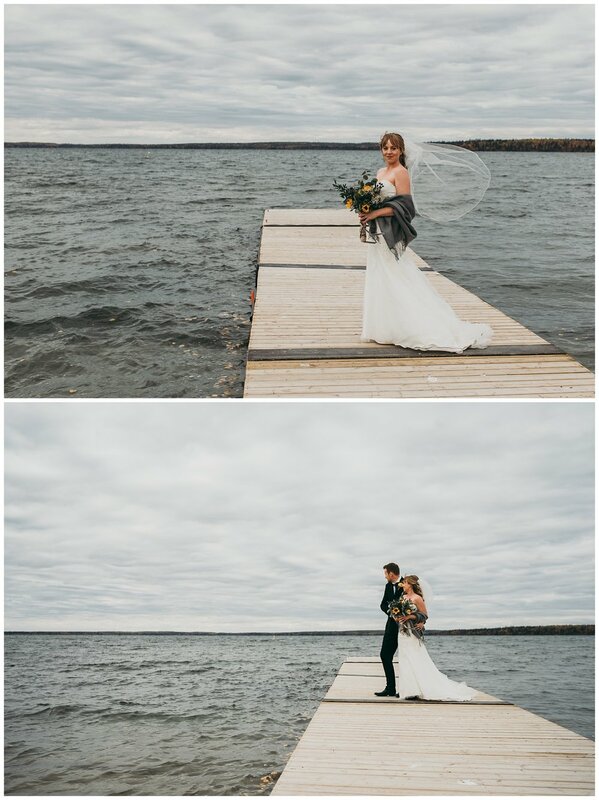 This meant that the day of their Clear Lake wedding, the only business they had to attend to was getting their photos taken! 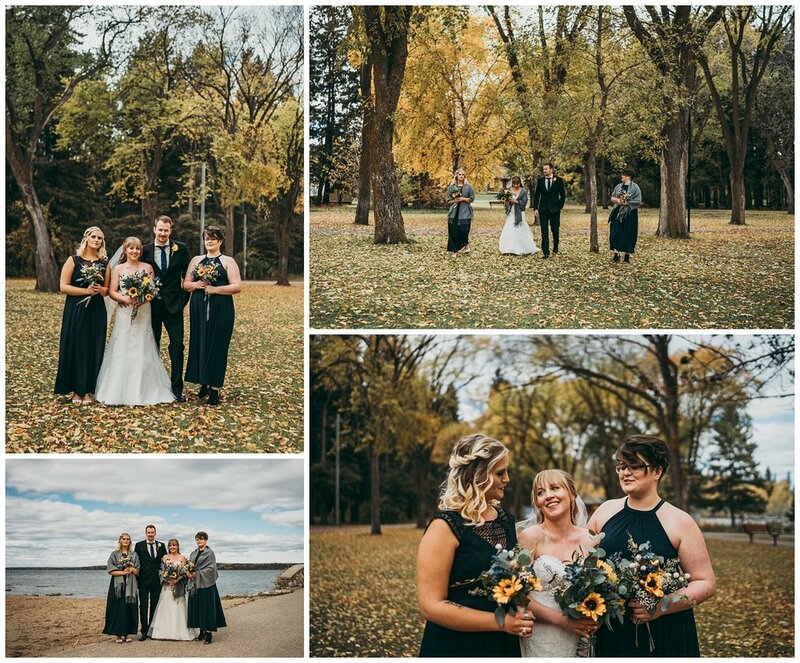 We spent a few hours wandering Clear Lake, finding some gorgeous light, and laughing. A lot of laughing. And shaking trees in the woods to try and make more leaves fall, only to fail, and then have the wind blow and have all the leaves fall perfectly in frame. I'm pretty Sure Caitlin and I screamed from the excitement. After dinner, we were able to sneak the newly weds out again for some sun set magic on the beach, only to be side tracked by trying to throw rocks as far as we could into the water, and then trying to run fast enough to catch a peak at a beaver swimming under the boardwalk. It was a great, laid back, fun day. I'm glad I can re live it again as I sort through some of their photos to share, and write out my thoughts. 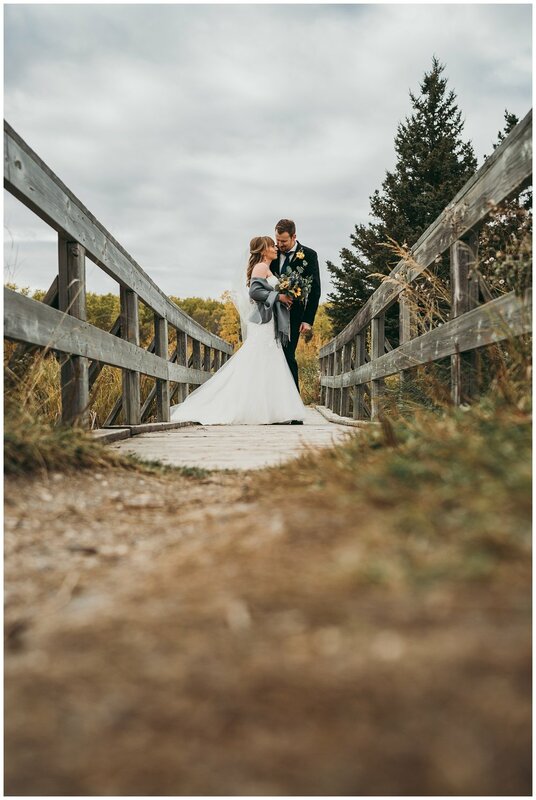 Having couples choose us to shoot their weddings is always an honor, but to spend the entire day having fun with them, and then leaving feeling like you've made new friends - is the best, and a driving force to keep us doing what we do, and keep us loving it more and more.